A Photo a Day... how would you finish that sentence? Well, I am trying it, and maybe I'll be able to finish the sentence in a few months! I've been wanting to blog more, about my teaching adventures, and life in Tanzania. It just takes so long to sit down and catch you up, and the adventures just keep happening! So, I've resolved to a photo a day. Maybe it'll be more some days, but I'm going to try my best to get up at least one picture, every day. Here's the photo for DAY 1! What?!? Camels? In Moshi?!? Yes, this happened! Usually, we don't see much wildlife besides chickens, dogs, and lizards. But today, as we were about a minute from our house, we saw these two camels trotting down the road! Definitely photo-worthy! We were coming from a group trip up to the new land of the school I volunteer for, Hope International School. We were given a GENEROUS donation of this new land to build and expand our school on. It was so cool to be there and envision the finished product, from the very beginning! Please be praying for funds to come in to support the project, as well as speed and efficiency as we try to get things prepared in time to start school there in September! Here's a video that gives more information about the school and the project. Alright, I'll see you back here tomorrow for day 2! Make sure you're following my Facebook page to be the first to see these posts! 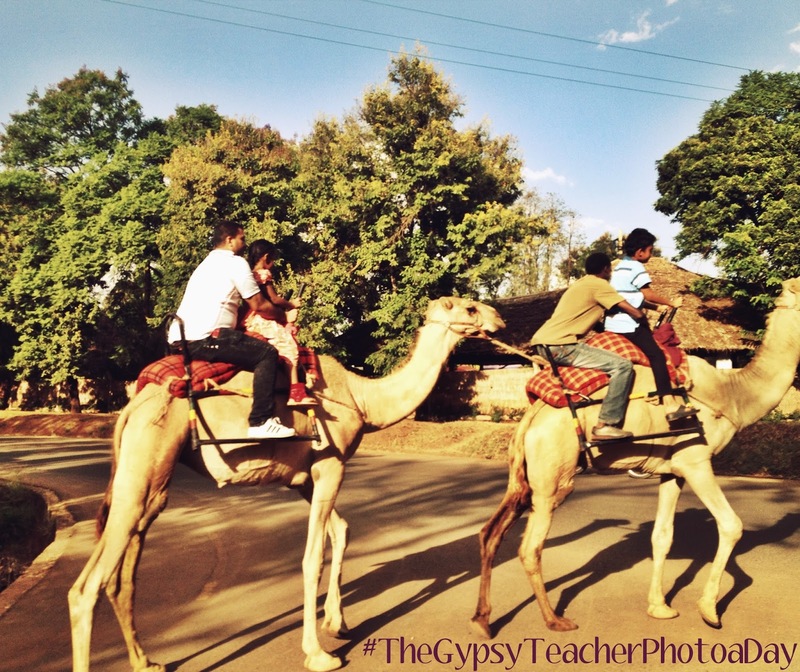 Also, I'll be using the hashtag #TheGypsyTeacherPhotoaDay! Thanks for following along...comment below and share what your adventure looks like today, as every day is an adventure!